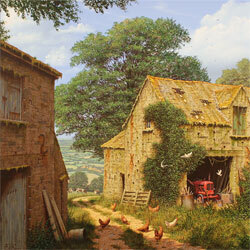 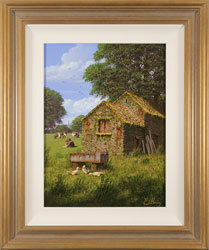 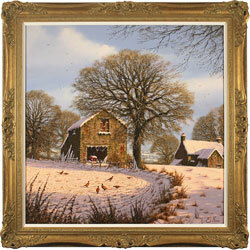 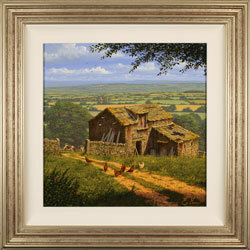 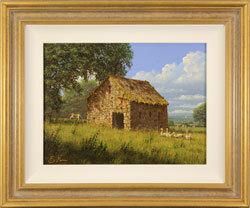 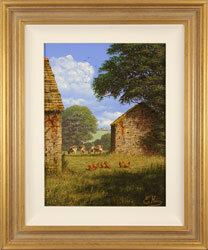 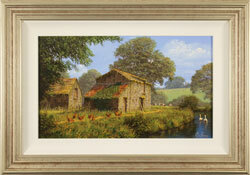 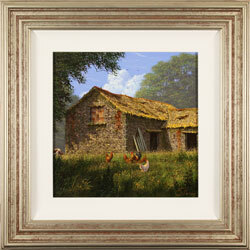 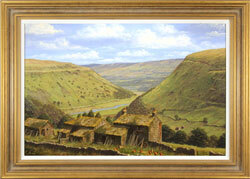 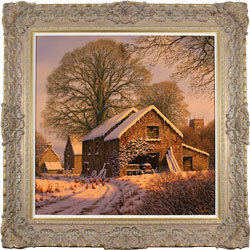 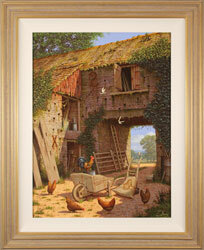 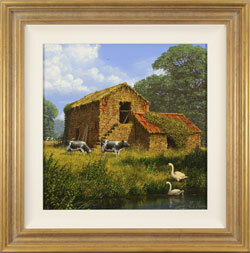 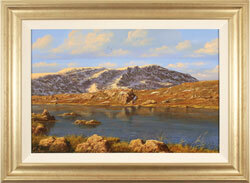 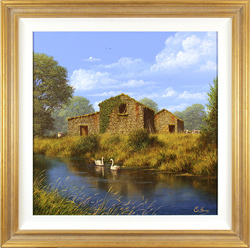 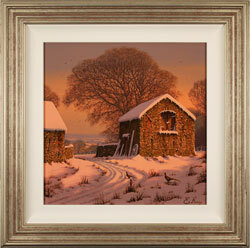 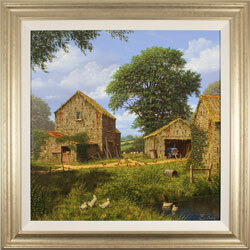 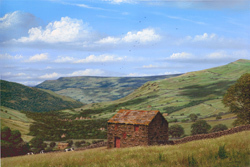 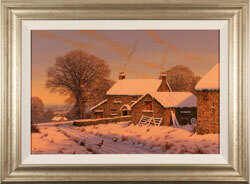 Edward Hersey is one of York Fine Arts' most popular and recognised artists. 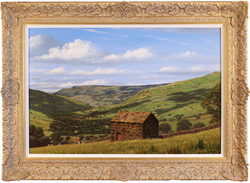 Renowned for his style and attention to the detail of the British countryside, Hersey has forged a strong and loyal international following, collecting for both investment and pleasure. 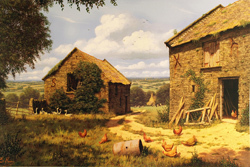 Hersey’s distinct style and choice of subject makes his work instantly recognisable. 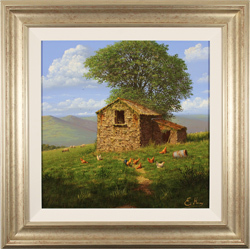 Painting a fine line between realist and idealist, Hersey’s work reflects the rustic beauty of pastoral life with simultaneous subtlety and finesse. 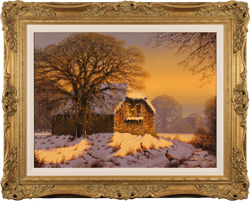 His meticulous application of mood and lighting has made him one of the most highly sought after traditional painters of his generation. 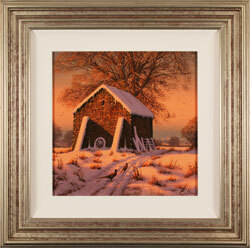 Edward Hersey’s career as an artist is both long-standing and established. His formative years were spent living in southern England, where he was first inspired by the rich, varied landscape and abundant farm buildings that have become his trademark throughout the course of his career. 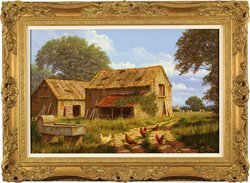 As his career continues to thrive, he remains inspired by new and interesting subjects, extensively traveling in order to record the style and variation in farm buildings across the country. 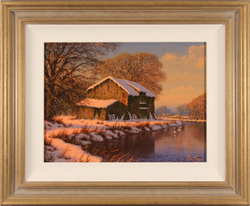 The current demand and relatively small number of available original paintings has made Hersey a vital addition to any collector or enthusiast of contemporary traditional fine art. 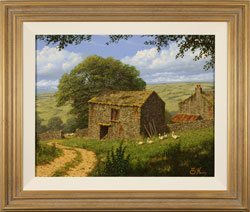 To meet this growing demand a small number of selected original oil paintings were recently published for Signed Limited Edition Prints including his famed collection of Cotswolds and Yorkshire commissions. 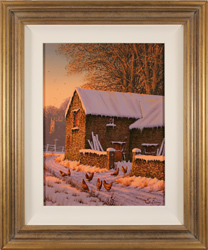 Please note that all Edward Hersey art listed in this section has previously been displayed for sale and is not currently available.